After more than nine years at the Pacific Institute, Terry Asbury still remembers her initial interview. “I was really excited when they asked me if I had a passport,” she recalls, “But the most I ended up traveling for the Institute was moving my desk from downstairs to upstairs and back down again!” After nearly a decade serving the Institute, at the end of this month Terry will embrace retirement, a bittersweet transition for her colleagues at the Institute’s home office in Oakland. Outside of the office, Terry’s hobbies range from singing to supporting charities around the world through her participation in her local chapter of Dining for Women. “I grew up in a very musical family,” she explains. “My mother sang and played the guitar, dad played the saxophone, and my brother hummed along to music constantly. I followed in my mother’s footsteps.” Terry was the vocalist in her dad’s big band dance band from the age of 10 until her high school graduation. “Forty-eight years later, I’m still remembered at Saint Elizabeth High School in Oakland for my reprisal of the leading role of Oliver in ‘Oliver,’” she says. Terry is the “Queen” of her chapter of the Red Hat Society, a group of a million women around the world who get together each month just to have fun. 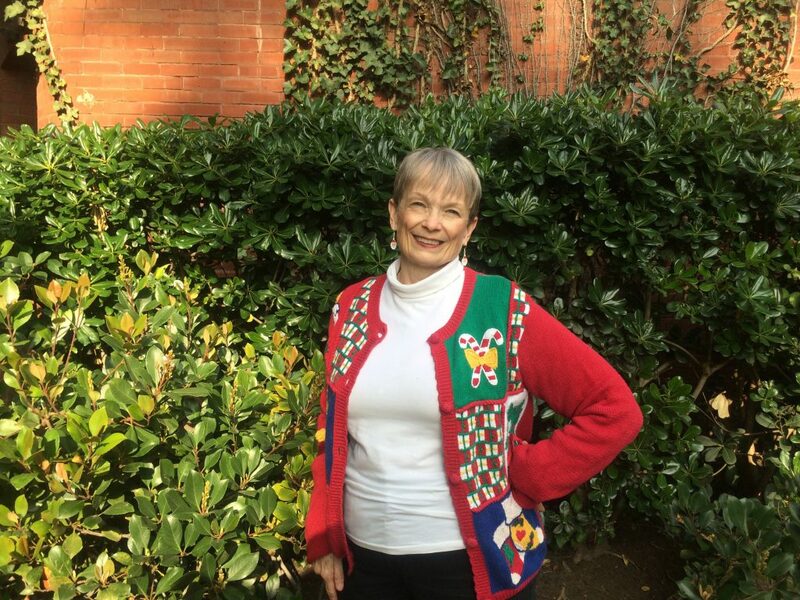 She also volunteers at the Bankhead Theater, the local performing arts theater in Livermore, where she lives with her husband of 44 years and daughter Jennifer.